Video: Bell Built video for the Hobbs Hollow Flow Trail in Nashville, Ind. 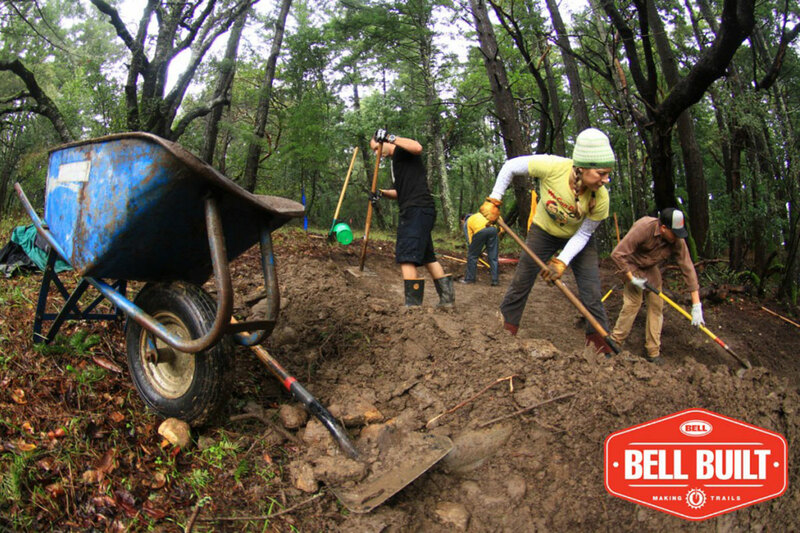 Voting for the Bell Built trail building grant program is open for the Central Region division finalists squaring off in a video throw-down to see who gets their share of the $100,000 the helmet maker has earmarked for the projects. Polls will remain open for the Central Region finalists through May 4, with the winner being announced on May 5. The four Central Region finalist projects are the Andres Bike Park in Carpentersville, Ill.; the the Chapman Bike Park in Durango, Colo.; the Cottage Grove Bike Park in Cottage Grove, Minn.; and the Hobbs Hollow Flow Trail in Nashville, Ind. All week Mtbr will feature Central Region finalist videos. Please check them out, then visit the Bell Built page to vote for your favorite project. 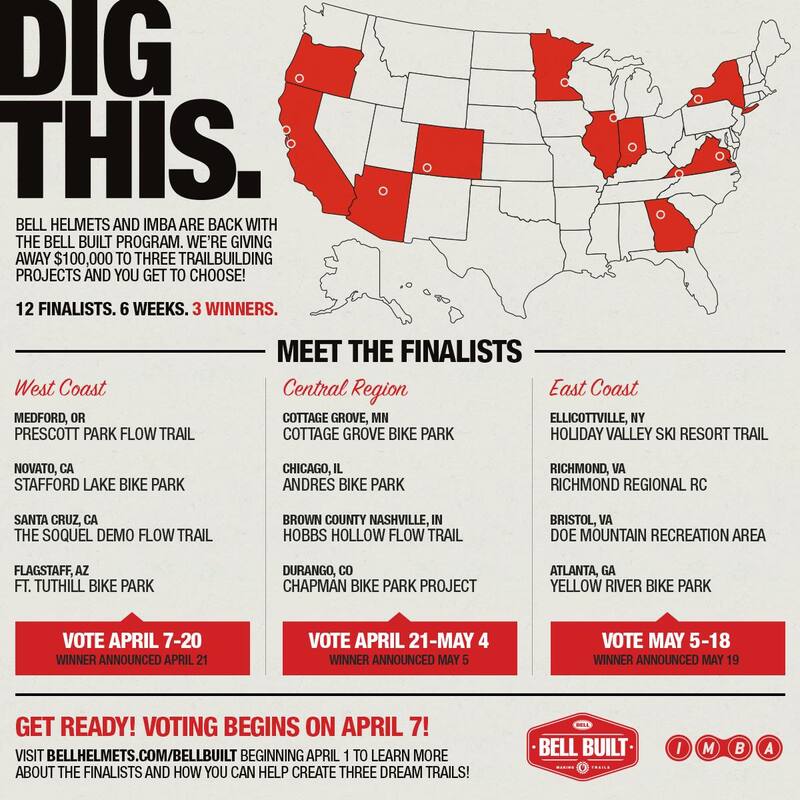 Last week IMBA and Bell announced that the Fort Tuthill Bike Park in Flagstaff, Ariz. had won the West Coast grant after voting closed for that region on April 20. After the Central Region closes on May 4, the voting moves to the East Coast from May 5-18. The project that receives the most votes from each of the three areas above will win one of the three Bell Built grants. Any combination of trail types—pump track/bike park, flow trail, DH/gravity trail—may receive the grants.